Walking into this restaurant reminded me of the good old childhood days when I had regular meals with my family in such a comfortable and family-oriented ambiance. 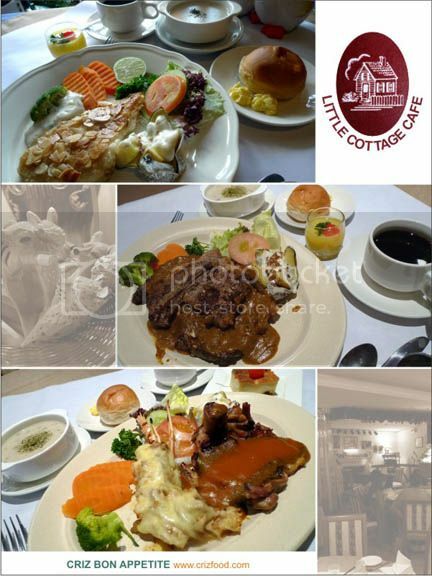 A branch out from the Little Cottage Café (LCC1) located along the busy street of Jalan Burma, this restaurant within the premises of Hotel Waterfall carries the name of Little Cottage Café 2 (LCC2). Established somewhere at the end of 2006, LCC2 has been serving Western and Italian meals as its successor, LCC1. 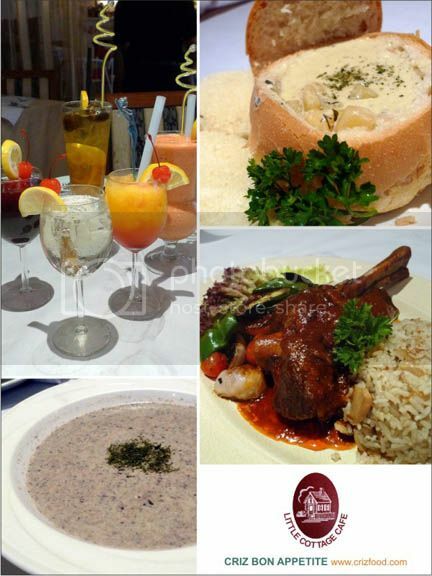 On top of its Ala Carte dishes, their set meals and Sunday Buffet Lunch remains the two top choices of the public. A few of us managed to pay a visit to LCC2 prior to my hectic office relocation some time back. It was a totally different experience altogether as the Sunday Buffet Lunch (RM25.90+ adult/RM13.90+ child) crowd was there. 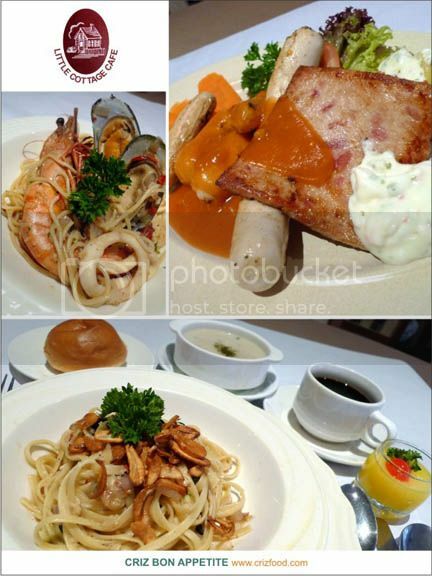 Set Lunch (from RM9.90+) and Set Dinner (from RM25.90+) were also available for the day. We started off with some signature cocktails and mocktails – Red and White Wine Cooler (RM9.90/glass), Little Cottage Mocktail (RM7.90), Little Cottage Fruit Shake (RM12.90) and Homemade Sparking Golden Lime Juice (RM6.90). The Little Cottage Fruit Shake remained the favorite of many. Some of the house specialties were introduced to us. The Clam Chowder in Bread Bowl (RM19.90) came first. It had this thick and creamy soup, served within a local bun called “Penggali” bread (later mispronounced by many and commonly called Benggali bread today). The taste of the chowder was fine but there were just too much potato cubes which overshadowed the already minute-sized local softshell clams (lala). I would also prefer the bun/bun slices to be slightly toasted for that extra flavor. It’s a bit pricey though. The next dish was the Cream of Mushroom (RM6.90) which had a varieties of fresh mushroom blended. It tasted not bad except that I would like mine to be a bit thicker with some crème added in. There was also the Chicken Sausages and Turkey Ham Combo (RM29.90) which would suit kids more but it came with a hefty sum to pay, though the amount of food would be enough to two kids or an adult. It had a combination of chicken sausages, turkey ham streak, baked potato and fresh vegetables, served with house sauce and tartar sauce. The house sauce was really mild. LCC2 has some impressive set lunches from as low as RM9.90. You would have an option to choose from the 15 items available daily. Each set would come with a butter roll, soup of the day, main choice of set meal, dessert and coffee/tea. For a healthy start, you can order the Garlic Lingguine (RM9.90). It had flat pasta cooked with some chopped onions, chillies, black olives and fried garlic in extra virgin olive oil. Since I’m a garlic lover, I have no problem with this dish although it might not be enough for a big guy like me. This dish would be more suitable for ladies who are rather conscious about their waistline. If you think you would like to have something a bit heavier but not too meaty, one ideal set lunch choice would be the Grilled Almond Fish (RM15.90). This dish would come with a grilled fish fillet topped with a generous amount of almond flakes and served with baked potato, boiled vegetables, fresh greens and tartar sauce. This was not a bad dish either except I would prefer some dressings on my fresh greens. Overall, it was kind of “dry”. Not meaty enough for your set lunch? You may want to try out their Lamb Shoulder (in Black Pepper Sauce) – RM19.90. The dish came with two large slices of lamb shoulders in black pepper sauce and served with baked potato, boiled vegetables and fresh greens. Well, make sure you did state your choice of cooking method here. We should have ordered medium rare instead of getting the well done as it was rather tough with certain bite. As for set dinner, there would be 10 choices daily from as low as RM25.90. Each set would come with a butter roll, soup of the day, main choice of set meal, dessert and coffee/tea. You would also have the option to add on a piece of Tiramisu Cake (RM4.90) or a change of soup to Clam Chowder Soup (RM5.90 – Friday to Sunday only). What we had was the most expensive item on the list – the Lobster Combo Special (RM49.90). It had a cheesy baked lobster thermidor with a choice of fish, chicken, lamb, steak or mussels. We opted for chicken. Although the lobster was nice, I felt that the price was a bit too high, considering it was just a baby-sized lobster. Moreover, there was nothing so special about the grilled chicken topped with a funny combination of black pepper and house sauce. If you intend to have a more romantic meal, LCC1, which has been in operation since 2003, would also be a better choice as it caters food on both floors with a dimmer setting and romantic corners. Do watch out for some of their promotions during off peak days (Monday to Thursday), festive seasons and special occasions. Getting yourself there won’t be hard as LCC2 is located within the premises of Hotel Waterfall right at the end of T-junction between Jalan Gottlieb and Jalan Kebun Bunga/Jalan Utama. 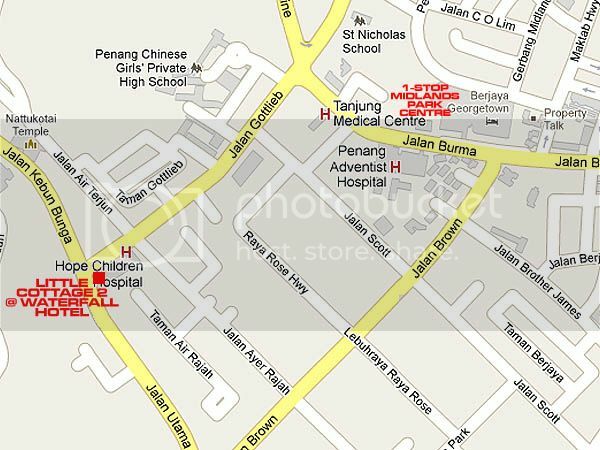 If you are coming from Jalan Burma, turn left into Jalan Jalan Gottlieb/Jalan Bagan Jermal traffic lights. Drive all the way until the end until you see Jalan Ayer Rajah on your left. You can see a big cake house and Hope Children Hospital there. Slow down and watch out for a small service road on your left. Turn left into the service road and turn right. You can easily see the Hotel Waterfall sign there. There should be ample car parks there during non peak period. 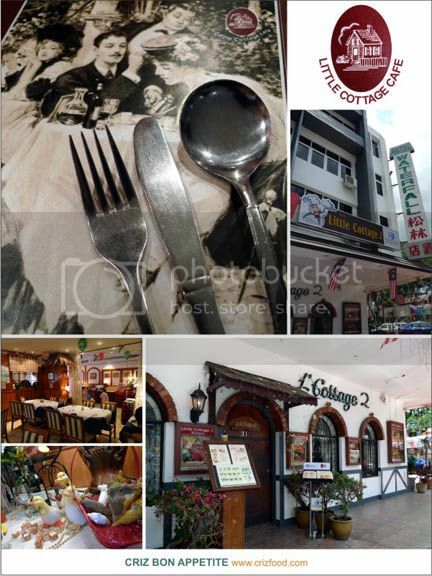 Address: 31 Jalan Gottlieb, 10450 Penang, Malaysia.